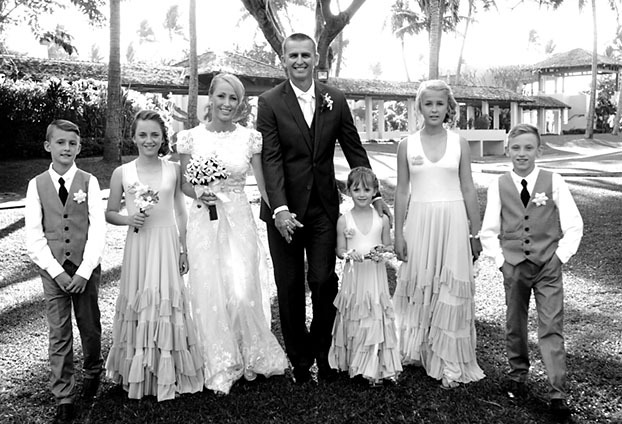 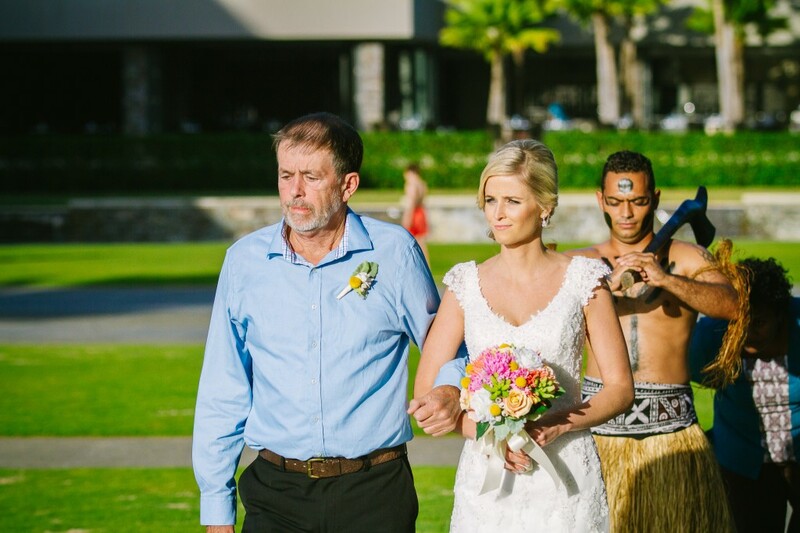 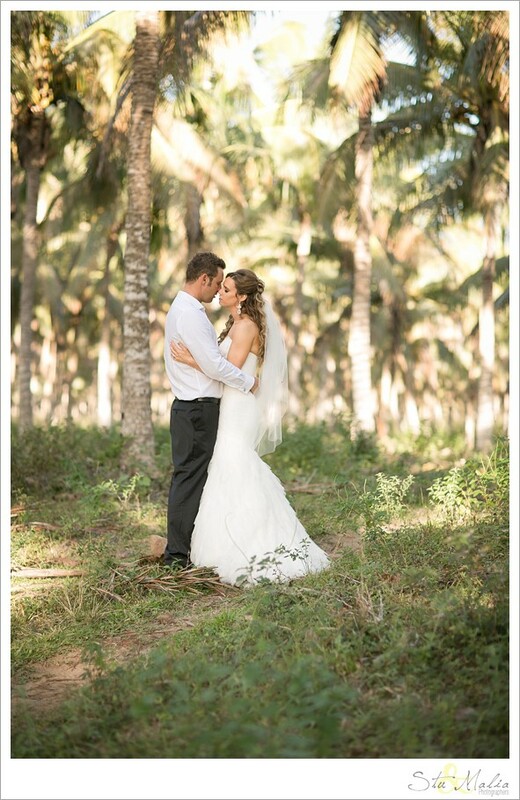 Lisa and Craig are blessed with a beautiful big family and with Fiji being such a child friendly place, it was the perfect location to celebrate their special day. 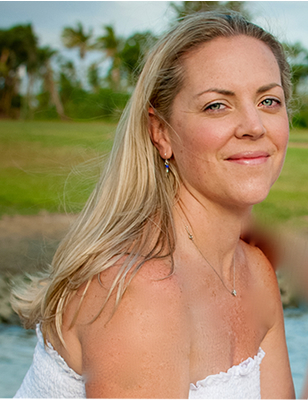 Lisa says ‘We chose Fiji as it’s a beautiful destination with friendly welcoming locals. 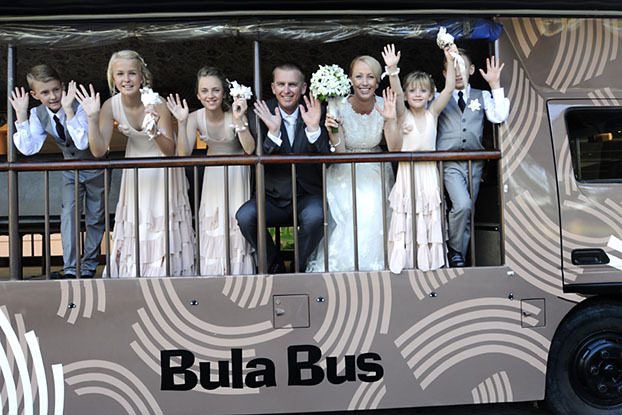 We also wanted our wedding to be a holiday for our family and friends that travelled. 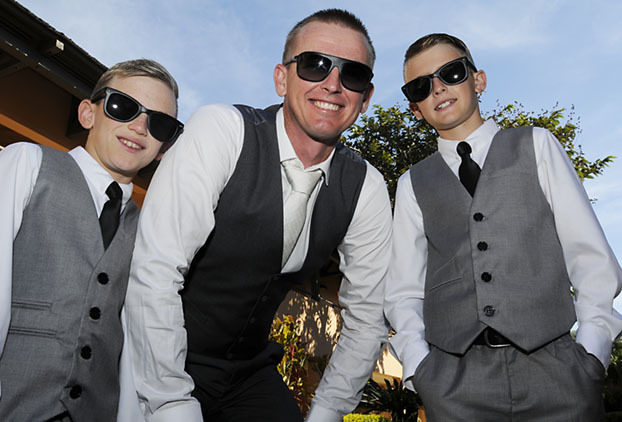 Importantly we wanted all our kids to enjoy themselves on holiday too’. 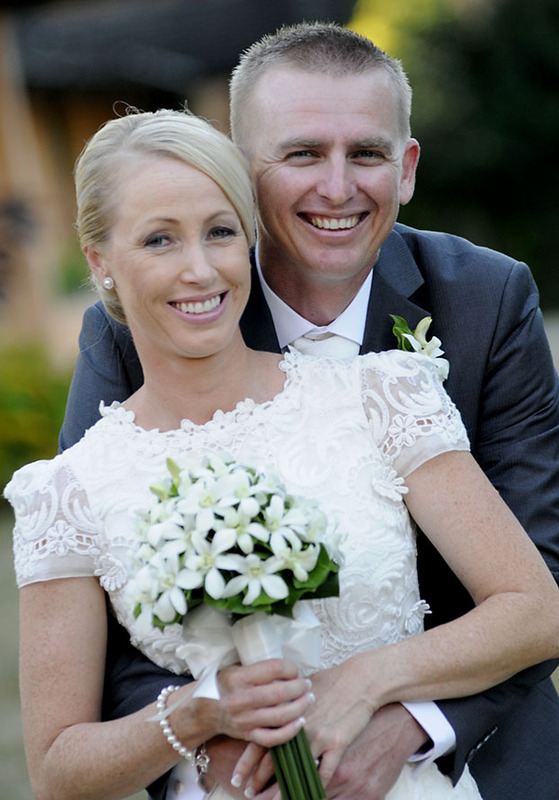 Lisa was pregnant and then had a newborn while organising the wedding, so having the time to plan her perfect day was scarce. 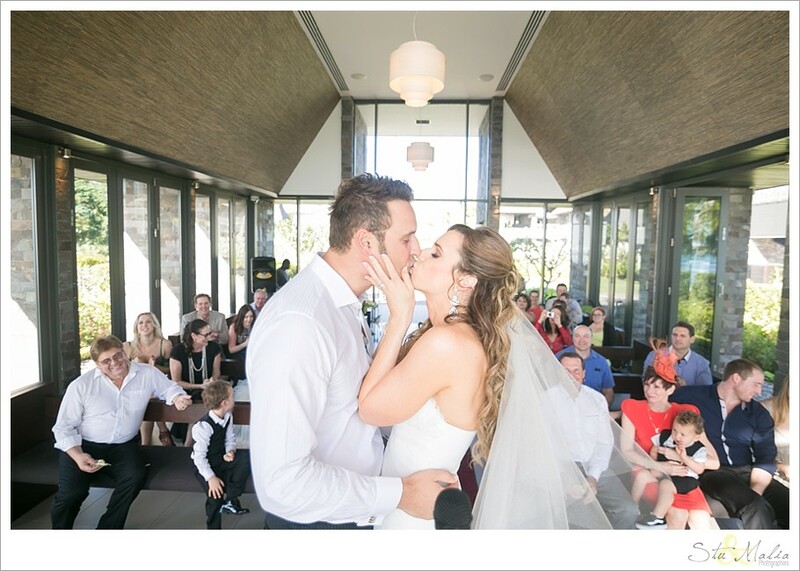 She didn’t need any extra stress so this is where we stepped in to help create the wonderful wedding they were both after. 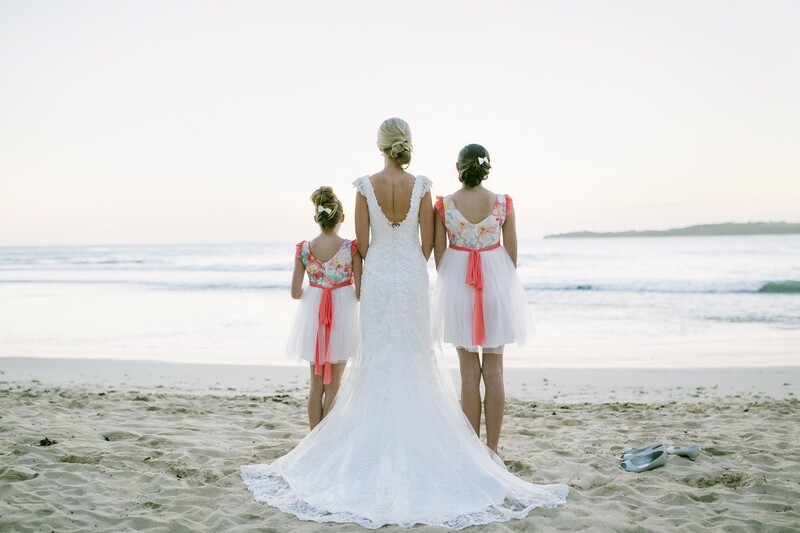 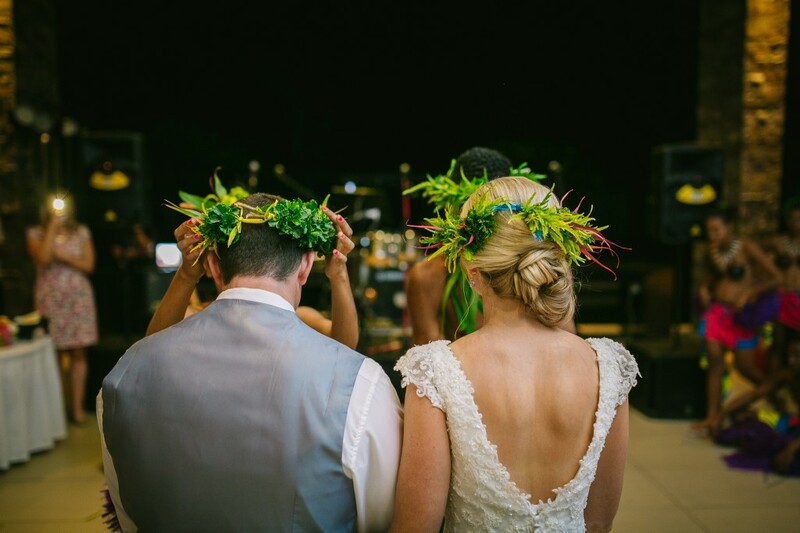 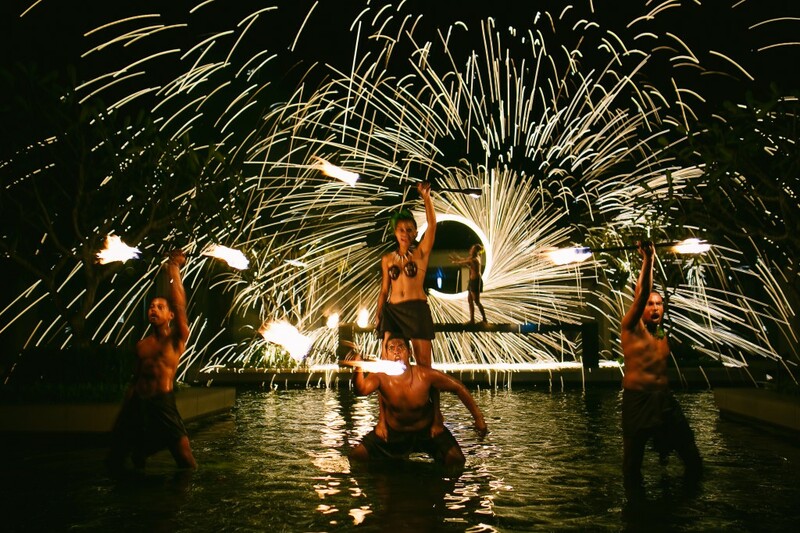 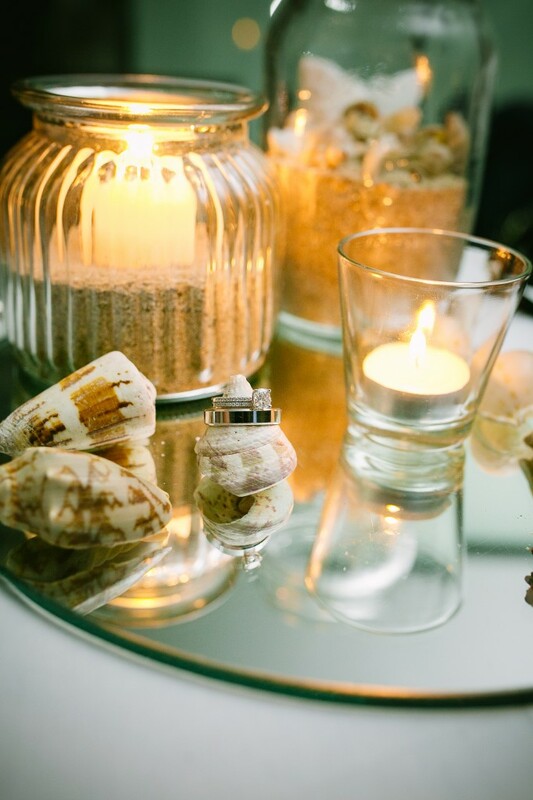 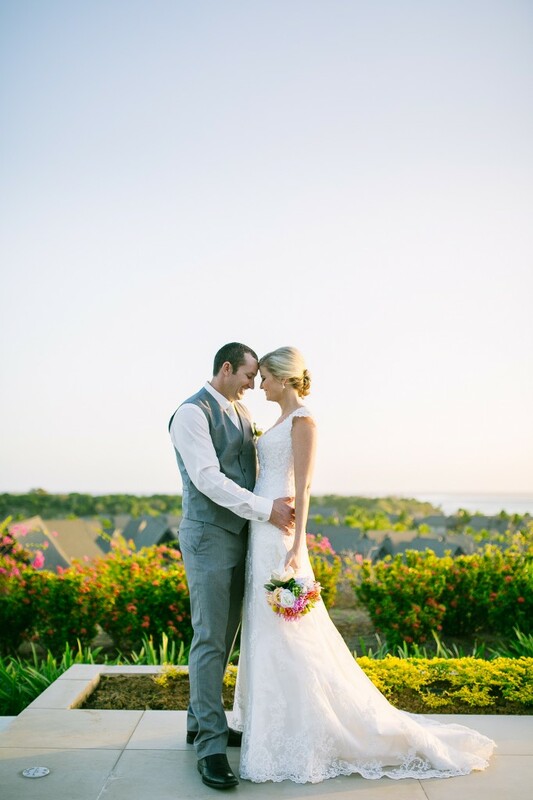 The Sheraton Fiji was the magical backdrop for their wedding. 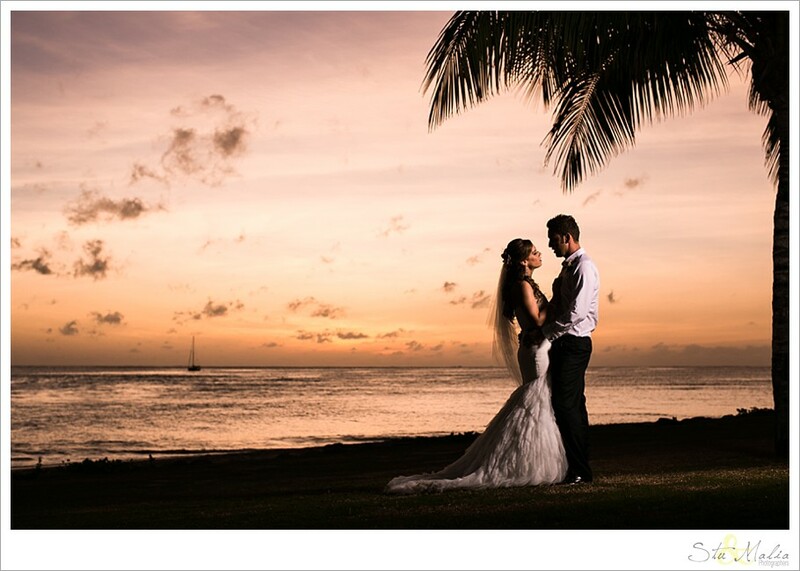 Having visited the islands of Fiji on a previous trip, Lisa and Craig and their family and friends enjoyed what Denarau had to offer. They visited the many different restaurants for dinner, the kids had great fun at the water park and on the banana ride, the boys played golf and the women were pampered at the Sheraton health spa. 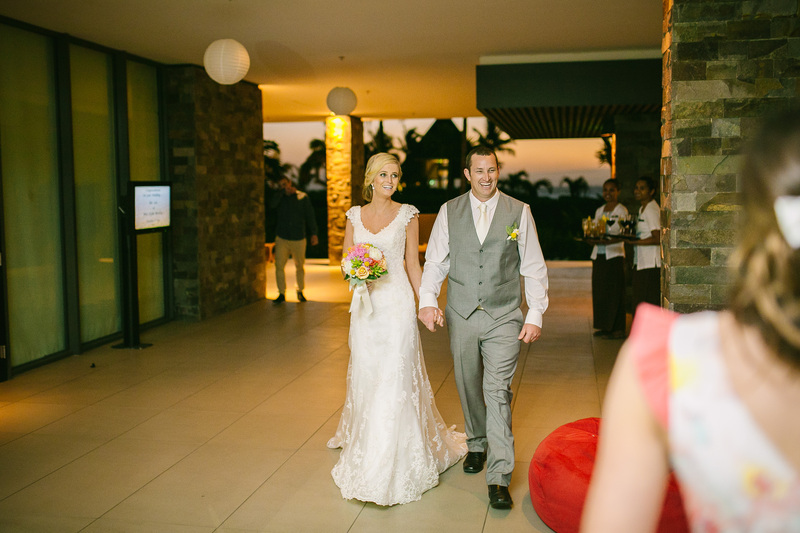 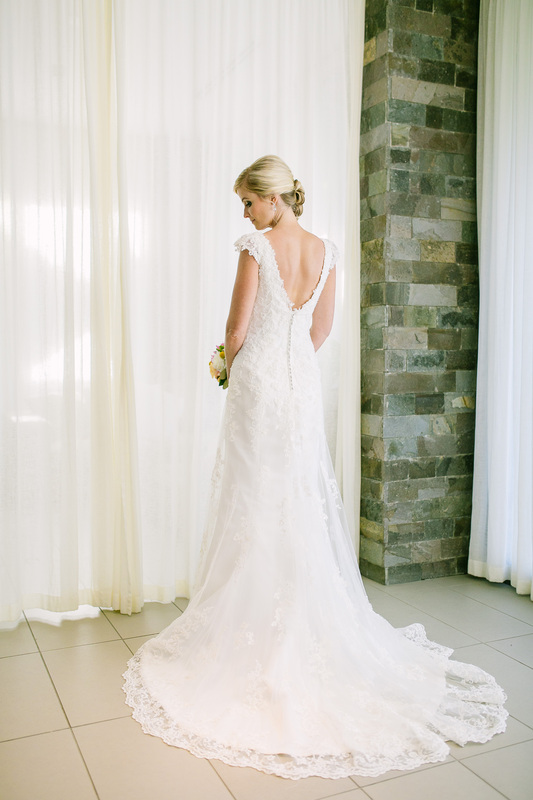 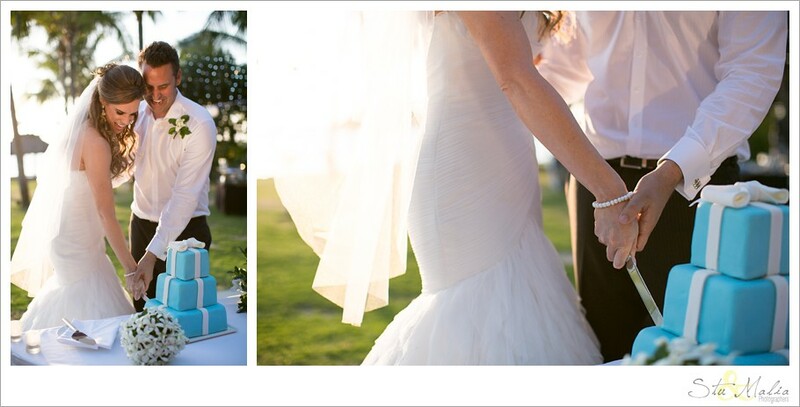 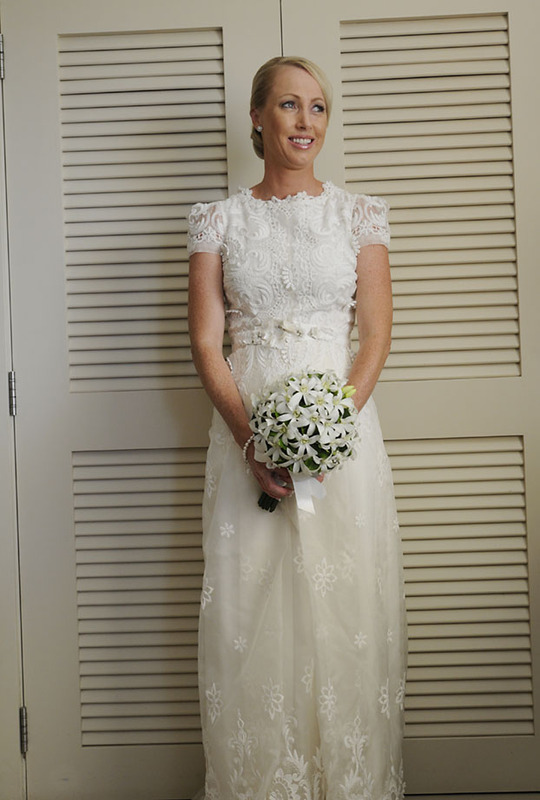 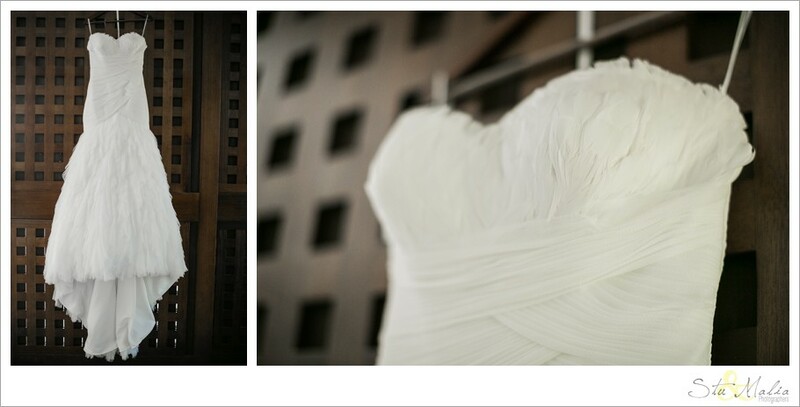 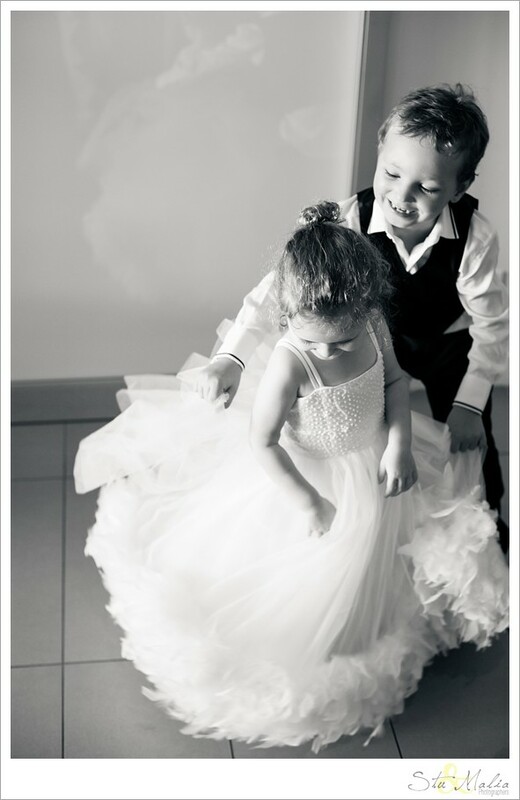 When the big day arrived, Lisa looked beautiful in her Collette Dinnigan ‘Rococo’ gown in ivory. 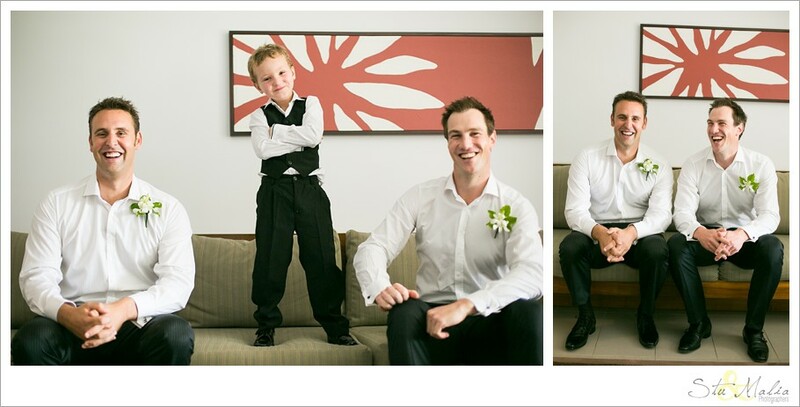 The boys wore classic grey tailored suit and didn’t they look gorgeous! 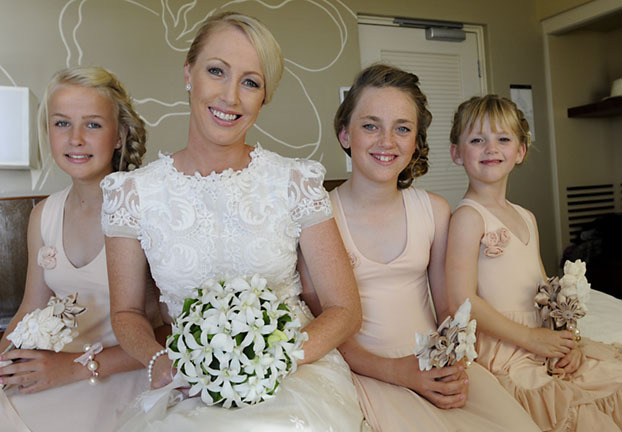 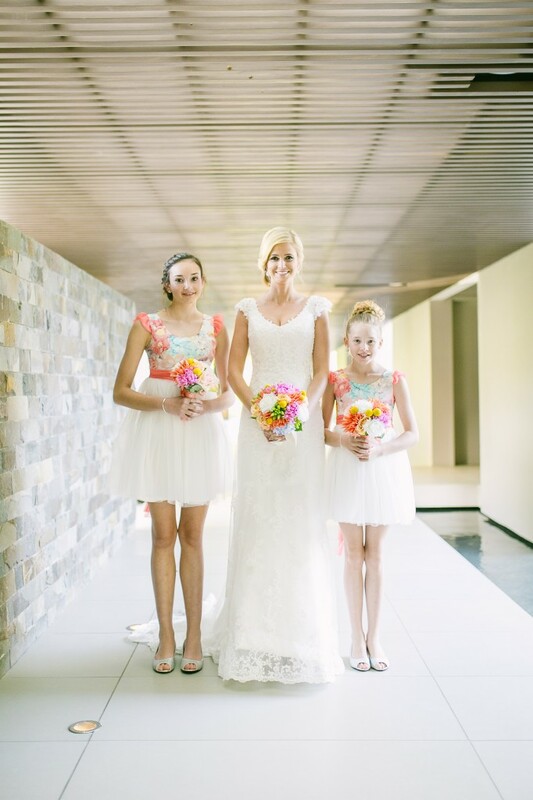 The girls looked so pretty in their layered dusky pink dresses with flowers by Heidi Briggs. 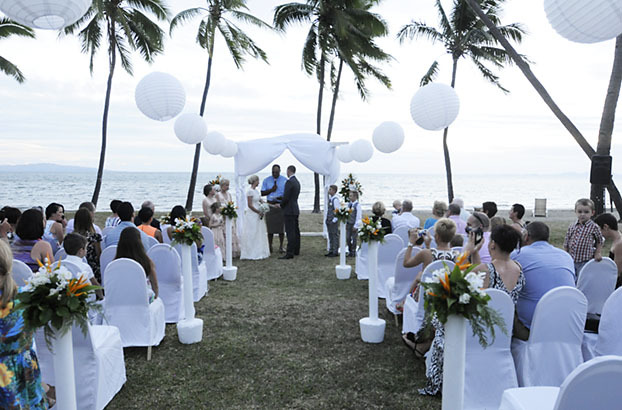 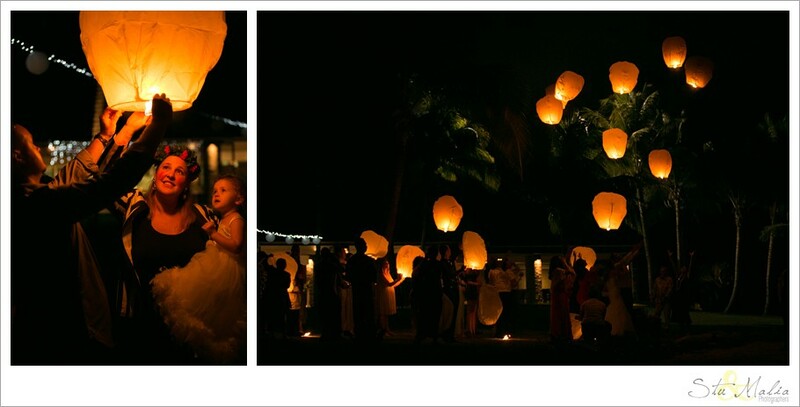 The ceremony was held on the beach under a beautiful white canopy and lanterns hung between palm trees. 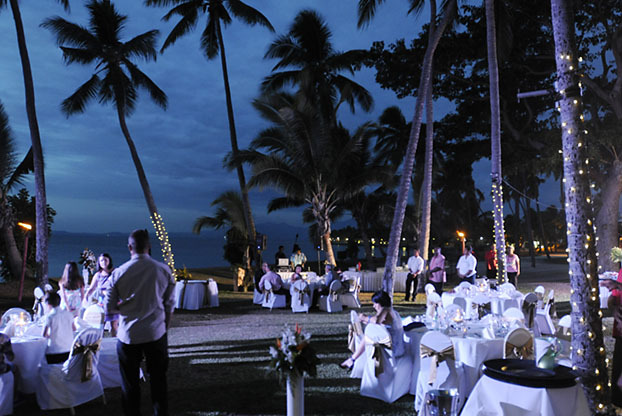 What an amazing setting! 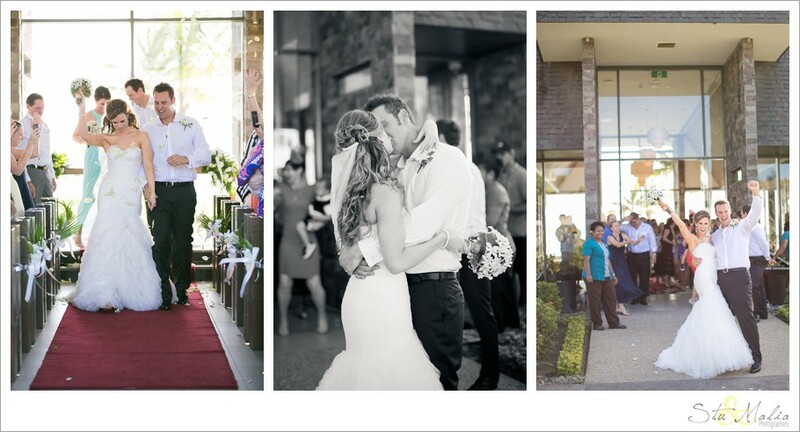 The reception was also held outside and it was filled with lots of love and laughter. 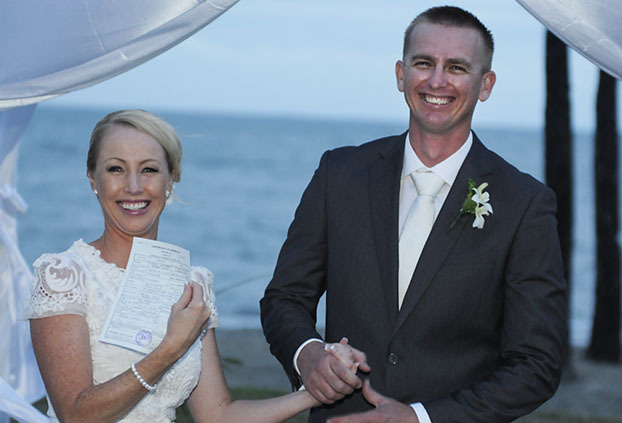 Lisa said ‘A beautiful ceremony was followed by such a memorable, fun and happy night shared with our wonderful family, friends and many kids. 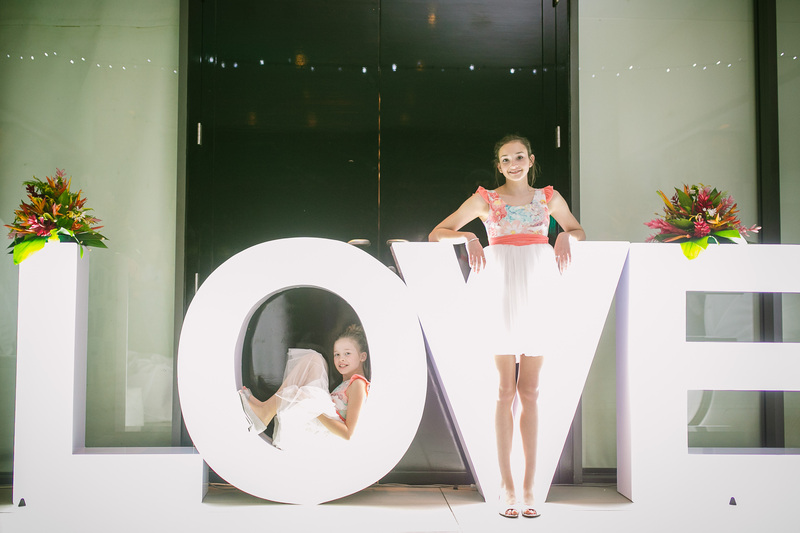 Not to forget the awesome dancing and entertainment the kids brought to our night, we will cherish forever!’. 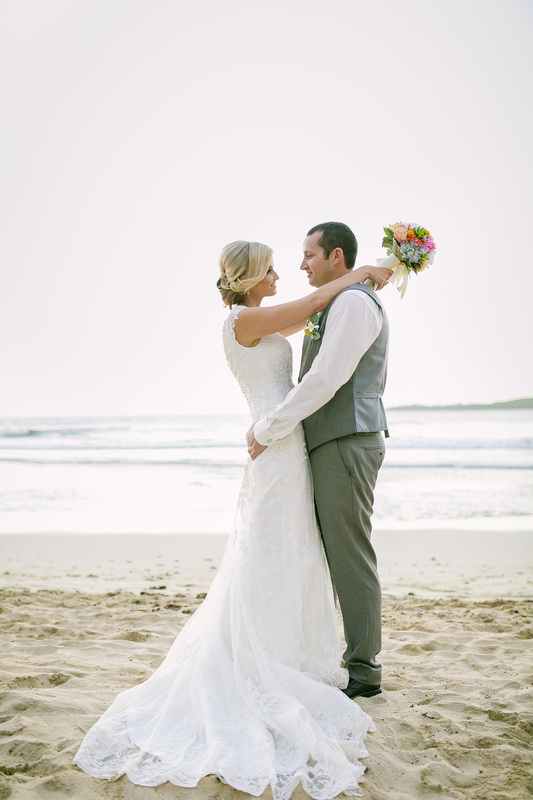 Lisa and Craig combined their wedding with their honeymoon and stayed for 10 nights at the Sheraton. 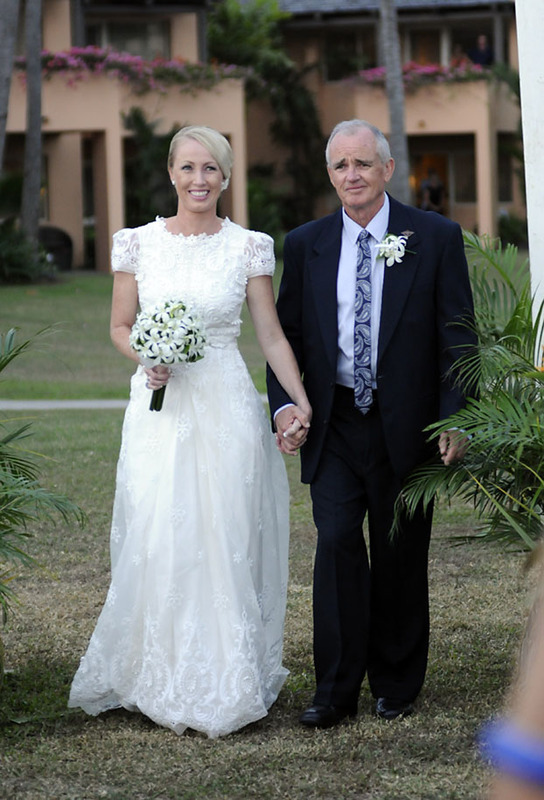 When we asked Lisa if she would have changed anything about her day she said ‘Maybe more photos during the day, even a videographer. 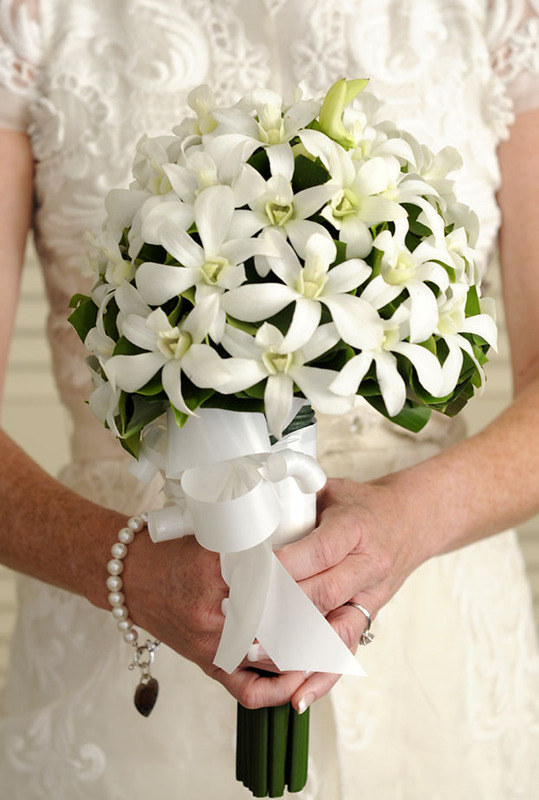 Even though I was quite relaxed the day went too quick and it’s a bit vague. 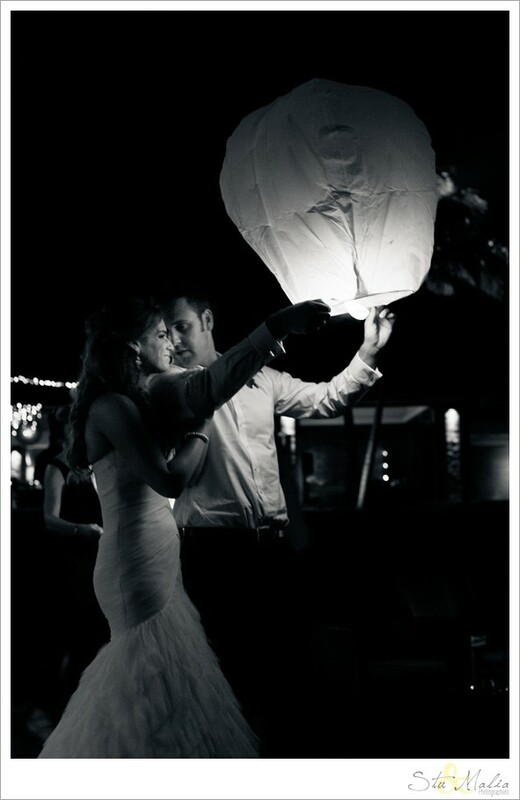 Otherwise I did have an awesome day and enjoyed it immensely’. 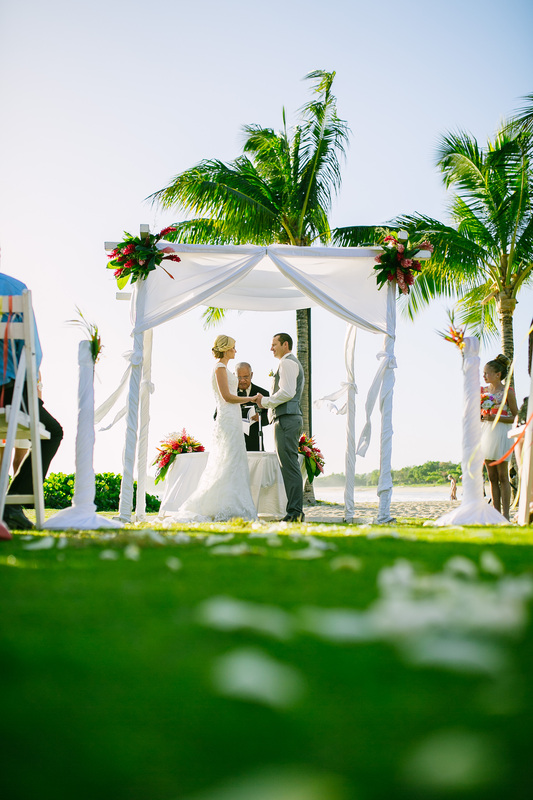 Lastly, we asked Lisa and Craig if they have any advice for couples planning a wedding in Fiji and they said ‘If you are able to use a wedding planner we strongly recommend one as it takes the stress out of ensuring everything is booked to your liking and paperwork is correct. 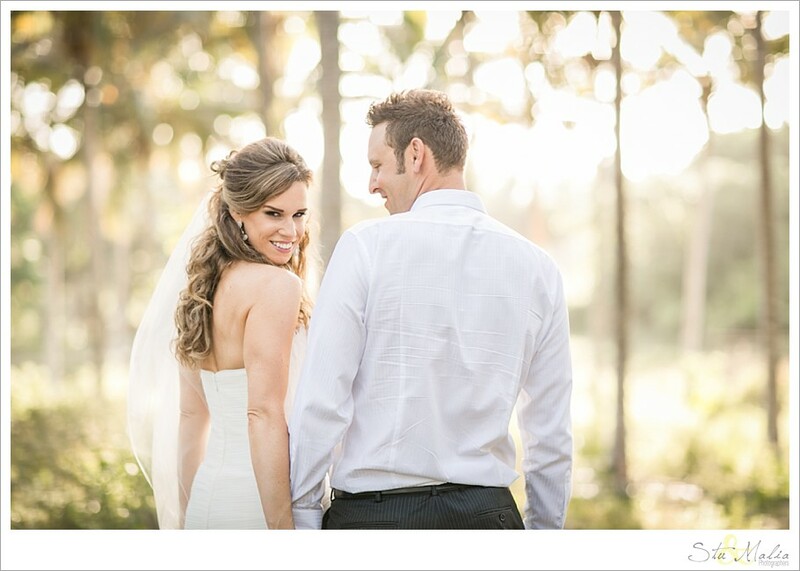 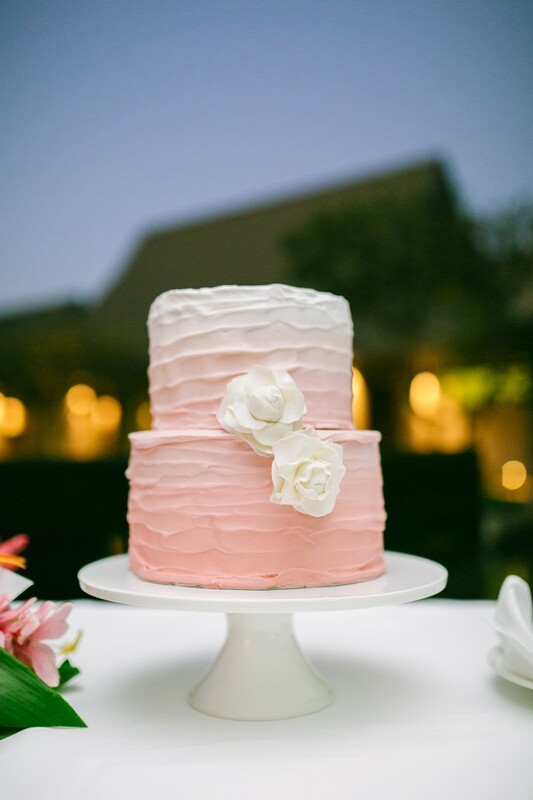 The help we received from Chelsea Jayne Weddings was very professional and greatly appreciated’. 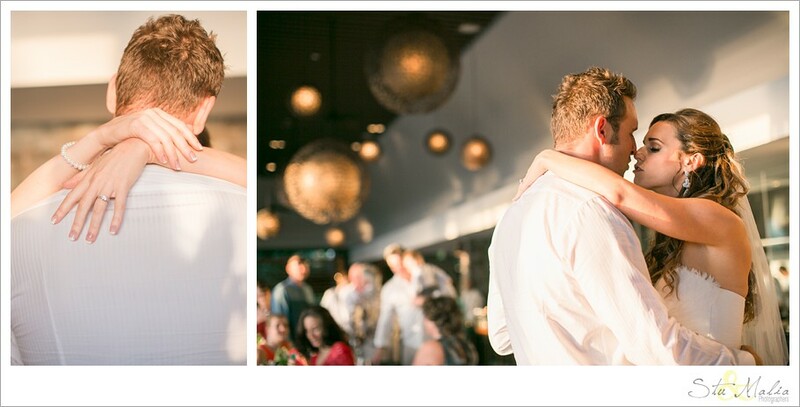 A big thank you to Kristjan Porm Photography for these beautiful images.